The beautiful seaside town of Sopot is notoriously regarded as Poland’s most expensive and exclusive destination. With a superb location on the Baltic Coast, many unusual things to see and do, some swanky hotels and a load of truly awesome high-end restaurants, this is a place for people with money. The town has no shortage of food and beverage options, boasting an international and dynamic selection of restaurants, cafés, bars and clubs, but it is often hard to find good food here on a budget. This list proves you can tour Sopot and eat out for bargain prices! For a budget restaurant in a prime location in Sopot, it’s hard to find a better option than Bar Bursztyn. They have some great combination meal deals that feature the trademark dish Pieczone żeberka (cooked ribs), this meal with a beer costs 18.90 złotych (US$5.20), or alone it is a mere 14.90 złotych (US$4.10). Also on the menu for 13 złotych (US$3.60) are a range of local Pierogi dishes (Polish-style ‘dumplings’), some great Nalesniki (pancakes) from 9 złotych (US$2.50) and soups from as low as 5.50 złotych (US$1.50). All in all, Bar Bursztyn is a great basic budget restaurant. What you have to realise with Sopot is that it is an expensive location for restaurants all along the seafront and main strip, the famous Ulica Bohaterów Monte Cassino. But to find the cheaper restaurants, head away from those areas and you will be pleasantly surprised. When exiting the town’s train station, veer left and inland instead of straight down to the seafront and here sits Bar Trendy on Aleja Niepodległości. Inside, the venue cooks up a range of tasty local food which will not break the bank. 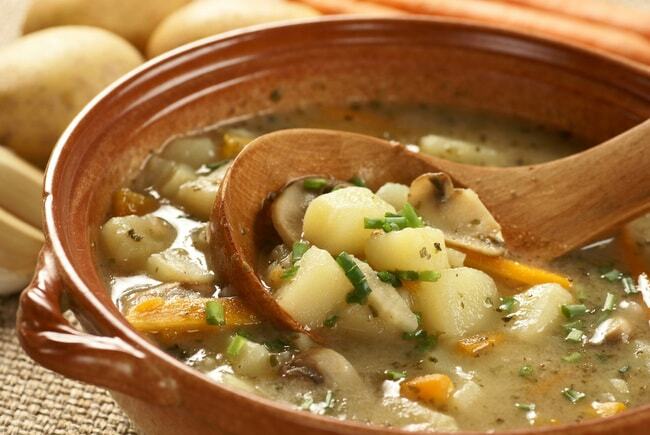 The main four food types on offer are Pierogi, Nalesniki, Makarony (pasta) and superb soups. Again, this place is not exactly on the main strip, nor near the pier and beach – Bar Elita is instead located on Podjazd Street, very close the main train station. It is a quaint and traditional restaurant, dating back to 1984, long before Sopot was the popular tourist town it is now. The restaurant hasn’t actually changed that much, and prices are still remarkably low. This venue is also licensed and displays its menu online. Local favourites include the Tatar (raw beef mixed with vegetables, served on bread), Pierogi ruskie and the Kotlet Elita (house pork cutlet). To break the trend and prove you can still eat out for relatively cheaply on Ulica Bohaterów Monte Cassino (Sopot’s main strip), enter Papudajnia. With a clean, simple and bright interior, this place offers an extensive menu that changes daily. Papudajnia is part of a chain of restaurants that is so local it has most of its outlets in more remote locations particularly the Kociewie Region (Skarszewy, Kościerzyna and Tczew). This makes for some regional delights, all freshly prepared and cooked. Try the range of ever changing Zupa (soups), which vary from mushroom to gherkin to tomato. For main courses, their menus are known to change daily but usually feature chicken, pork and beef variations. If you get a chance, try the Gołąbek w sosie własnym (cooked pigeon in sauce). When scouring the streets for a real budget restaurant, sometimes you need to think outside the box. The cheapest restaurants are not necessarily the Polish ones, and this is a niche that Pekin Bar satisfies as it serves Chinese food. Head here for an authentic array of rice and noodle dishes served by local Chinese residents before walking down the town’s main strip on a pub crawl. The venue is perfect for those wanting a cheap and easy fast food option before a night on the town. A great title for a bar, a superb location, and a place in the record books, this is where Na Drugą Nóżkę hits the spot. 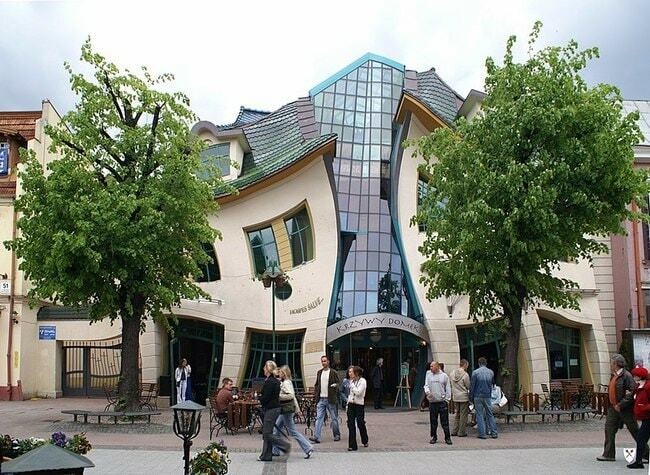 The name translates as ‘The second leg’; it is located inside the coolest building in Sopot – the famous Krzywy Domek (Crooked House), which has entered the record books as one of the most bizarre buildings on the planet. It’s easy to see why. With well-priced bar food such as burgers, chips and hot dogs, the venue also becomes a hive of activity at night, serving up shots and showing live football. It stays open until 4.30 a.m. each night as well; keep an eye out for promotions. To complete the list, it’s hard to neglect the superb pancake venue of Naleśnikarnia Cuda Wianki, also situated not far from the train station. You know you are in for a treat here – superb pancakes are the speciality – just check their Facebook feed for the five-star reviews the venue consistently gets. The fact that it attracts lots of younger folk and students should also tell you two things: firstly, the prices are reasonable, and secondly, it’s a trendy and hip joint. The range of pancakes is also huge, with sweet, savoury, vegetarian and vegan options all available.